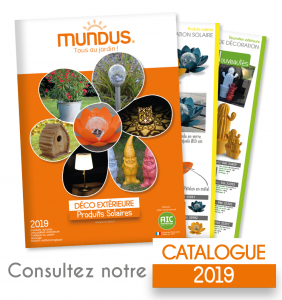 The blogThe new Mundus 2019 catalog is here! 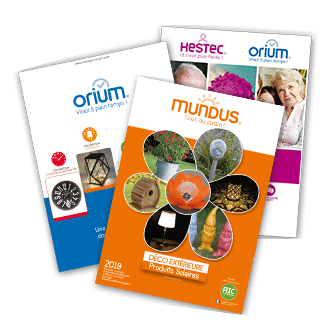 Home → The blog → The new Mundus 2019 catalog is here! The new catalog outdoor decoration and solar products 2019 is here! Mundus, a world of good ideas for decorating, beautifying the outdoors and making gardening easier! Everyone in the garden, this is the basis lign and dynamics of the brand Mundus! Brand registered in 2007, by AIC International, distributor of clever products, innovative, citizens. AIC International works with the majority of the actors of the Garden (shop, Web, catalogues…) so master the requirements and peculiarities of the garden market. 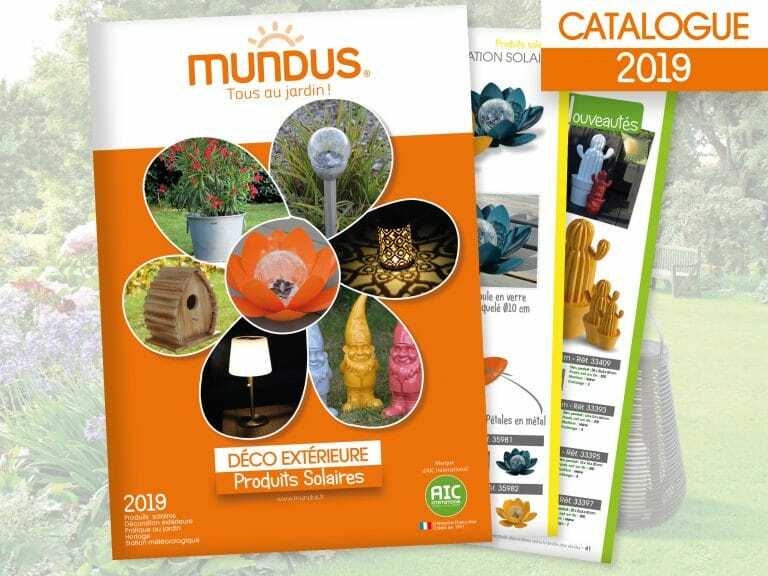 Inspired by the world-wide gardens, Mundus offers a range of over 300 innovative, decorative, clever, eco-friendly products at competitive prices dedicated to the garden universe. Listening to trends and changing consumer needs, our product managers are constantly in standby to source, find, improve and develop the essential products. The visit of the different French and European trade shows and all over the world makes it possible to always be aware of new developments and trends. A new edition, in the continuity of the previous ones, with improvements! Do not hesitate to ask for our new catalog with our commercial services. Mundus, Everyone in the garden ! 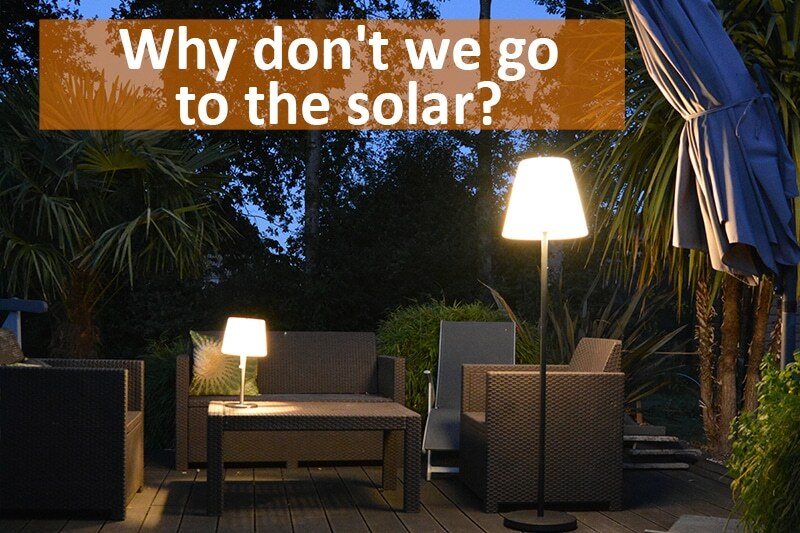 Why don’t we go to the solar? 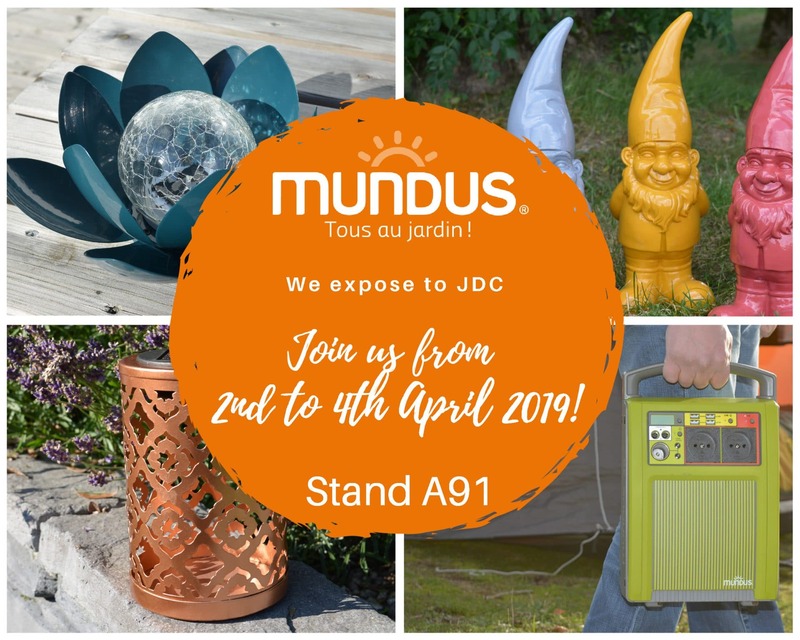 JDC (Garden Trends) 2019//from 2nd to 4th April 2019 Stand A91 in Marseille (France). 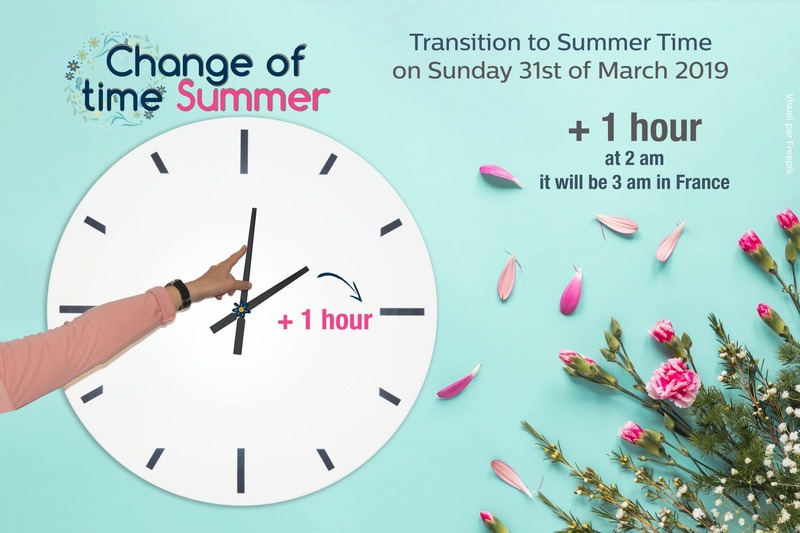 Change of time Winter / Summer, March 31st, 2019 in France !